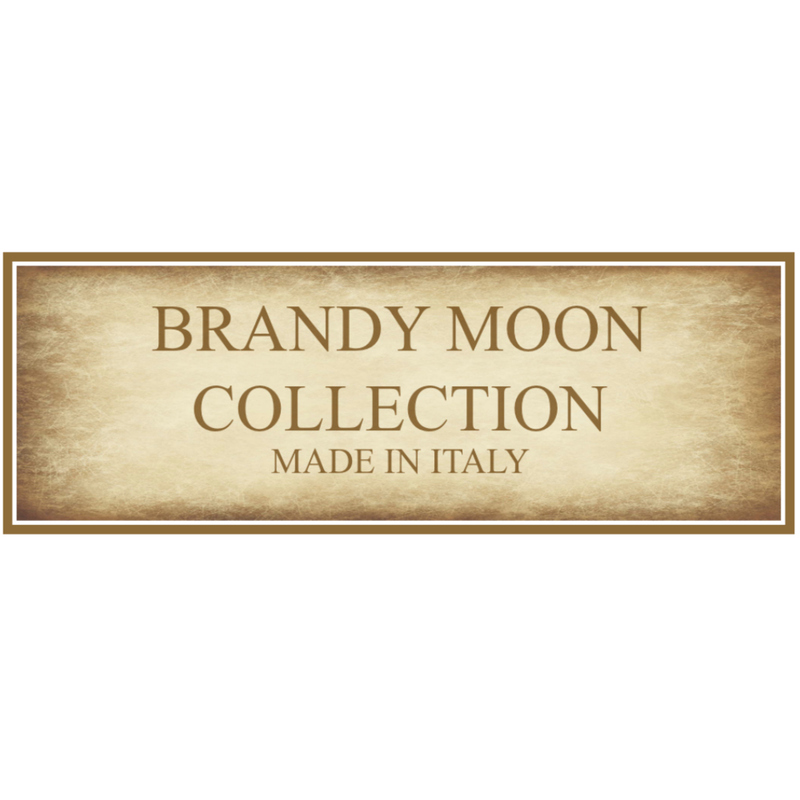 The Brandy Moon Collection by model/actress Brandy Moon is made in Italy thanks to Italian skilled labor with over 60 yrs experience. The collection is a collaboration of Italian-style design and craftsmanship bringing you the finest quality available. Each product is designed and manufactured in keeping with the best of traditional Italian style and excellence! All products are made from top quality leathers and materials. Timeless elegance is made of beautiful lines, fine materials, and practical features. The Moon Lock Satchel combines all these elements. It can be carried in the hand or over the shoulder and can also double as a most elegant briefcase or laptop case. The bottom has metal feet and the bag is self-standing. The flap lock comes with a functioning key housed in a sleeve of matching leather. The flap buckles have magnets beneath them for practical opening of the bag. The under flap is in genuine black suede, the interior features a zippered divider with leather trim. Lining is of washable "maialino" (synthetic pig skin). Leather trimmed, zippered inside pocket, cell phone and utility open compartments. 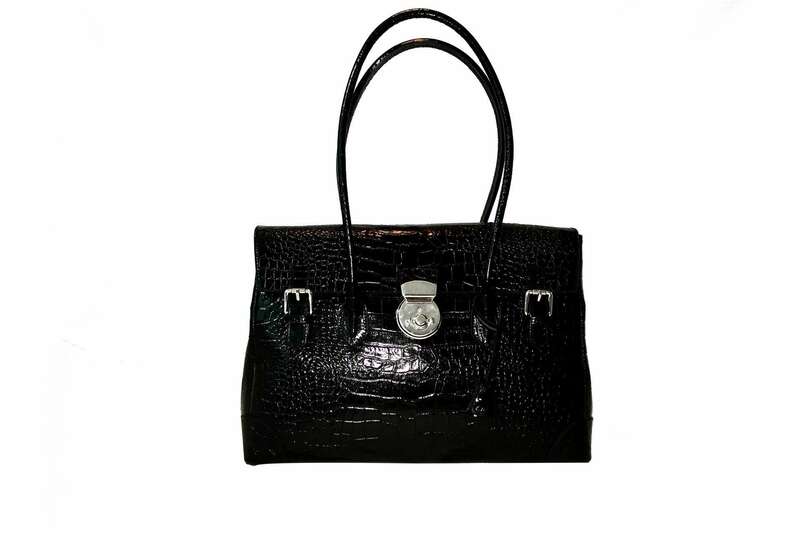 Silver tone metal.100% genuine Italian calf leather, handmade in Italy.